A crazy idea? Why would you buy an entire website instead of just buying a link on that domain? True, in most cases, it’s going to be much more expensive to buy a website, since not only do you have to purchase the website, but you’ll also need to pay for ongoing hosting, domain registration/renewals, etc. And likely the time you’ll spend consummating the deal will be much more than the time it takes to negotiate a link buy. But there are some situations where this strategy might make sense. If you buy a link on a website, it’s unlikely that you’ll be the only link on that page (OK, it’s possible, but highly unlikely). So the value of that link – in terms of link juice – is going to be split amongst all of the links on that page. If you owned the domain, you could certainly force that page to funnel all of its link juice to your site. Perhaps a typical page where you might buy a link has 10 outbound links – you’re going to get 1/10th of the available link juice flowing to your site. If you owned the site, you could make sure you’re the only outbound link, thus it’s probably worth 5 to 10x as much. Also think about conversion from natural traffic: if the site is getting a fair amount of traffic in its own right, you could turn pages on that site into strong recommendations for your main site, which are more likely to convert to real traffic than just a paid link somewhere on the page. Sites that are currently getting tons of traffic aren’t generally going to be cheap, as the current owner is probably able to monetize that traffic in some way, either selling products themselves, or driving traffic to an affiliate program, or generating PPC income via AdSense or something similar. Your offer for the domain is going to need to be something more than what the owner is probably netting in a 1 to 3 year period from their existing monetization. Look for sites with traffic in the 5,000 to 50,000 unique visitors per month range. If you’re going to pursue this kind of strategy, you should probably be thinking not about buying just one domain, but perhaps 10 or 20. In this case, you can also boost the rankings for each of these sites a little as well by carefully inter-linking the sites. It’s not likely to be a huge bump in rankings/traffic for any of them, but there’s going to be a little opportunity for overall domain-strength building and more importantly, some long-tail ranking improvements via well-planned and varied anchor text in those inter-links. You’re probably not doing this for sport (and if you’re doing this for a client, they aren’t either), so if you’re going to take on a strategy like this, you’ve got to be confident that it’s going to deliver some real ROI. Like any SEO project, you’re going to want to set yourself a goal that’s based on increased profit for the site. Unless your client is completely off the radar to start with, they’ve probably got some sales history, and based on how well they’re ranking today, you can come up with some reasonable percentage that your SEO work is going to increase their sales. Let’s say they’re doing $2 million in sales today, and their net profit margin is 15%, or $300K per year. If this SEO project is going to boost their sales by 10%, that’s $30K. This project is only going to be appealing if the cost of your time + buying the domains + annual hosting is significantly under that $30K. The first step is to find a truckload of reasonable candidates to evaluate, then whittle those down to those which show “promise”. You can buy sites that are unrelated to your industry, but in that case you’d get virtually no real traffic conversion, just the link juice. So, if you’re going to go to all this trouble, focus on sites that can deliver both. I’ll presume that if you’re reading this, you’ve already spent considerable time doing your keyword research, and know the top 20+ phrases you want to get traffic for. (If not, look at SEOMoz’s Keyword Research Guide.) Start with this list; if you’re hoping for some real click-throughs from your target sites, those sites ought to be attracting clients who are interested in your keyword list. Your best targets are going to be small to medium content-based sites – ones that are today maybe making a little money from PPC or affiliate links, rather than ones who are selling product themselves. The latter class of site is more likely to be expensive, and if they have a physical business operating from that site, are much less likely to chuck the whole thing and sell it to you for an affordable price. For efficiency, you’ll want to separate out your candidate-identification phase (this phase) from your candidate-evaluation phase (the next one). Build yourself a little spreadsheet, perhaps with one sheet per keyword phrase. 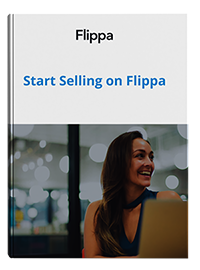 Start with a search on Flippa, putting each of your keyword phrases into the search box and looking at what’s available. This is going to be the easiest source for purchase opportunities, as you know already that they’re for sale, and some traffic info is already available. Put any that seem reasonable into your spreadsheet – don’t be too picky at this stage however. Next, do a Google search on each of these keyword phrases, and look at the first page or two of results. If you spot any of the sites you found on Flippa in here, add the Google ranking to your spreadsheet for them. From the search result snippets alone you’ll be able to spot a lot of blogs, review-ish sites, etc. Add those to your spreadsheet. For the rest, a quick click into the site and a little snooping will tell you if it’s a thriving real business or a takeover opportunity. You should have a goal for the approximate number of candidates you want. You can figure you’ll get a pretty good percentage of the Flippa listings you want (dependent mostly upon your budget), but the percentage of the ones you find via Google who’ll sell to you (and for a reasonable amount) is going to be quite low. Let’s say you’re looking at buying 20 domains for this project – you might want to build a list of 50 candidates from Flippa and another 50 from your Google searches, hoping to get perhaps 15 from Flippa and the other 5 from your Google searches. Go through your spreadsheet, and fill in the columns for each site you’ve added. If you don’t have a traffic number from the existing owner, just leave it out. Tools like Alexa for estimating traffic are wildly inaccurate, especially with sites of the size you’ll be looking at. For each site, see what they’re ranking for today using a tool like SEMrush (it’ll show you the top 10 phrases that the site is ranking for). Figure out Google rankings for the sites from Flippa using a tool like Aaron Wall’s Rank Checker. Link Juice: use a tool like Open Site Explorer to see what backlinks each site has today, looking at followed links, number of unique linking domains, etc. Moral of the story: don’t get too hung up on the traffic numbers. Once you’ve done a pass through all of the sites, filling out whatever info you can, it’s time to grade them. Here, you’re looking at the overall picture: how strong is the domain and its links; how closely does the domain name match any of your keyword phrases; what’s the existing traffic like; how expensive do you think it’ll be; etc. You’re just looking for a “gut feel” here to prioritize your work. Use a letter-grade scheme, e.g. A, B, C, F.
Chase the A’s and B’s first, and give yourself a little time to see how many of these you can acquire. Dig down into your C’s if you need to to fill out your “quota” of sites you’ve planned to buy in the first place. Watch your overall domain-buying budget, of course! If you want to keep all the existing domain authority and link juice, you’re going to need to be careful about how you go about changing the registrar info, the hosting, the content, etc. Google is on the lookout for people attempting to artificially inflate their link profiles by buying domains (see Matt Cutt’s video), and if your newly acquired domains fit this pattern, you can expect them to be sandboxed, links discounted, or even penalized. I recommend changing the registration info over several months to avoid raising any red flags. Change the login info first of course; then maybe a month later, change the owning company name; a month later, change the tech contact; etc. Create yourself a spreadsheet to track your dates, and also what registration info you use. SEOMoz’s Danny Dover wrote a great post on moving domains which covers this in greater detail. You’re likely going to need to change the hosting as well. Luckily, there are plenty of inexpensive hosting solutions out there – you’re going to want to use a different one for each of your newly acquired domains. Yes, it’s a pain, but you don’t want your domains to all live on the same IP address C block, or you run the risk of Google seeing them as related or co-owned, and discounting links between them. Schedule your hosting move to be a bit different from your domain registrar info changes, so that they don’t happen at the same time. Even if you’re going to 301 redirect the sites entirely, you STILL need a server to host the site and perform the 301s. Now, let’s talk about content: should you keep the sites and use them to add links to your site and convert, or just compile all the link juice by 301’ing all the pages to your site? The answer, of course, is “it depends”. If the domains you’ve bought are keyword-rich, and you think you can get those domains to rank well for your keywords (and then drive traffic from those sites to your main site), then you’ll want to keep (and tune) the content. Remember, Google is showing extraordinary favoritism in the search results for sites where the domain name contains the keywords searched for. A keyword-matching domain name, with proper on-page SEO and a handful of inbound links can often dominate other sites with far more link juice. If the domains are related but not keyword-rich, you might consider 301’ing the pages directly to your site and simply aggregate the link juice. In this case, I would recommend that you not do a blanket 301 for all pages to your home page, as this doesn’t look natural and in my opinion will risk getting red-flagged as manipulative. Instead, manually go through the pages and 301 them individually (if the site’s small), or 301 them in several groups (if the site’s very big). And really, avoid 301’ing to your home page – think about it, how often does page content from one site really migrate to the home page of another site? In reality, people move individual articles or sections of content from one site to another. If you are going to 301 pages, however, try to redirect them to as similar a page as possible in terms of content, so that if you get real human traffic to the original page, they’re likely to be pleased with what they’re presented with post-301, and possibly take action in a way that brings you revenue. Of course, the collection of domains you’ve now bought might not fit entirely into one group or the other. There’s nothing wrong with doing a combination of the above, 301’ing all pages from some sites and linking from others…or even 301’ing some pages from a site and linking from others. If you’re not 301’ing all the pages, you’re going to want to update the content. At a bare minimum, you’re going to want to add links back to your main website, from existing pages and/or from new pages you create on the purchased sites. More than likely, you’ll also want to do a once-over to update the on-page SEO as well…and possibly adjust some of the internal linking too. Here’s another place where you’ll want to stay under the radar. Certainly it’s common for a site to undergo a redesign, and have every page change. And it’s normal for a site to move hosting once in a while. Or change tech contact info for the domain registration… etc. But it’s not common for all these to happen at once, unless the site has been entirely sold, in which case Google probably really shouldn’t trust all of the old links to the site as bona fide votes for the new site – especially if the content has changed radically. Google solves this trust issue by putting the site in the sandbox for a few months, which of course negates the whole point of buying the domains, at least for a long while. For this reason, you should stage your content updates along with your domain registration and hosting updates. Space all these changes out a little over time. Buying domains for SEO value is a heck of a lot more work than buying links, but there are some situations where it can pay off. You need to do your homework up front, both on the domains you buy and on the ROI of the project in general. And, once you’ve bought the domains, you need to play your cards carefully and gradually along the path to getting the newly-purchased domains to where they deliver traffic and link juice. Michael Cottam has been working on SEO projects since 2001, when he co-founded TheBigDay honeymoon registry company. Today, Michael is a regular contributor to the SEOMoz main blog, and part of the Q&A team answering questions from SEOMoz subscribers.